MINI India has introduced MINI on Tour – an exclusive platform to provide the legendary MINI go-kart feeling across 18 cities in India. The MINI on Tour will be held in Bhubaneshwar from 18- 21 January 2018 and will be stationed at Hotel Sandy’s Tower, Jaydev Vihar – 751013. MINI on Tour is a state-of-the art mobile showroom featuring the brand flagship, the new MINI Clubman on display and offers exclusive chance to experience and test drive the entire MINI range of cars available in India which includes the MINI 3-door, MINI 5-door, MINI Convertible, and the MINI Clubman. MINI on Tour will be stationed for four days across prime location in each city. MINI Sales experts are available to provide information and professional advice to help them find a MINI to match their lifestyle. Customers can book their favourite MINI on the spot and also avail service across BMW authorized service centers in every city. 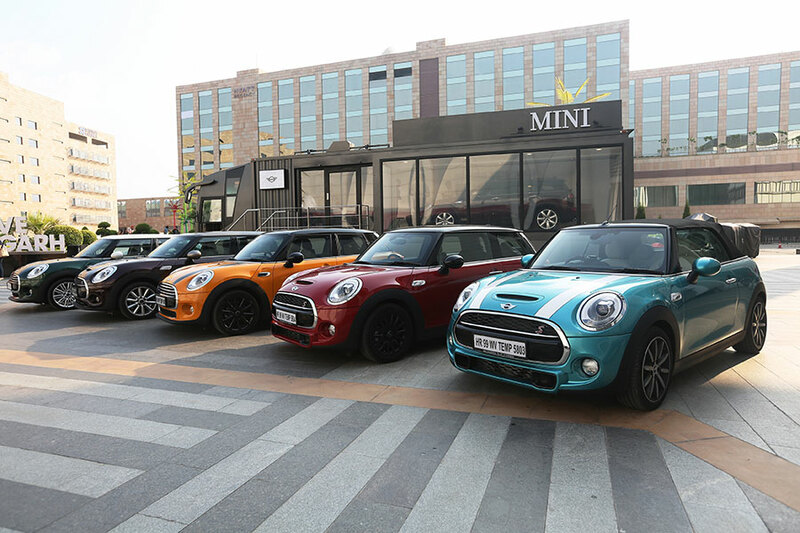 MINI has established five authorized dealership in India – Bird Automotive (Delhi NCR), Infinity Cars (Mumbai), Navnit Motors (Bangalore), KUN Exclusive (Chennai) and KUN Exclusive (Hyderabad). Customers can service their MINI at BMW authorized service centers across 23 Cities.